While this announcement isn't directly related to PharmD admissions, it is important to know about the leader of a university (or university-system) you are applying to. At the very least, it can give you a better sense of the culture and priorities of a university. (Not always, but sometimes!) The more you know about a university, the more prepared you are as an applicant. (Not always, but sometimes!) It's an exciting time for the UC system. 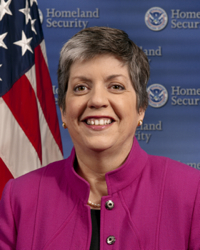 U.S. Department of Homeland Security Secretary Janet Napolitano has been nominated for appointment as the 20th president of the University of California, it was announced today. Regent Sherry Lansing, chair of a 10-member special search committee, said Napolitano rose to the top from a large field of candidates and was recommended on a unanimous vote. The full Board of Regents will act on the recommendation Thursday, July 18, during a special meeting following the board’s regular bimonthly meeting in San Francisco. “Secretary Napolitano is a distinguished and dedicated public servant who has earned trust at the highest, most critical levels of our country’s government,” Lansing said in a statement. “She has proven herself to be a dynamic, hard-working and transformative leader. Board Chair Bruce Varner, who served as vice chair of the search committee, noted in a separate statement: “Throughout her noteworthy career, Secretary Napolitano has built a track record for taking on and tackling the toughest of challenges. She has a reputation for seeing things through, no matter how difficult the effort. Read more about UC's search for a new president and Janet Napolitano's nomination. “She has the intellectual curiosity, leadership qualities, personal charm and discipline needed to navigate any future challenges that await this university. Robert Powell, chair of UC’s systemwide Academic Senate and a faculty representative on the Board of Regents, praised the choice: "In my discussions with her, Secretary Napolitano clearly articulated the view that the University of California must do all it can to ensure not only that it remains the greatest public university in the world in the 21st century, but also that it moves to new heights. If the regents approve the appointment, Napolitano would become the first woman in the university’s 145-year history to serve as president. She would succeed Mark G. Yudof, who announced in January that he would step down at the end of August after serving for more than five years. As the twice-elected governor of Arizona, serving from 2003 to 2009, Napolitano was a consistent champion of public education, protecting funding of the state’s universities even as she addressed a $1 billion deficit upon assuming office. By 2006, she had turned the deficit into a $300 million surplus without raising taxes. Chosen by President Barack Obama to serve as the third Secretary of Homeland Security, Napolitano leads a complex array of efforts to safeguard the nation – counterterrorism, border security, immigration enforcement, cybersecurity and disaster preparedness, response and recovery. Homeland Security is the third largest federal department, with a budget of $60 billion, 240,000 employees and 22 agencies and directorates, including the Federal Emergency Management Agency (FEMA), Customs and Border Protection, Citizenship and Immigration Services, Immigration and Customs Enforcement, U.S. Coast Guard and Secret Service. “I am both honored and excited by the prospect of serving as president of the University of California,” said Napolitano. “I recognize that I am a non-traditional candidate,” she added. “In my experience, whether preparing to govern a state or to lead an agency as critical and complex as Homeland Security, I have found the best way to start is simply to listen. As UC president, she would lead a system of 10 campuses, five medical centers, three affiliated national laboratories and a statewide agriculture and natural resources program. The UC system has more than 234,000 students, about 208,000 faculty and staff, more than 1.6 million living alumni and an annual operating budget of more than $24 billion. Napolitano, 55, was born in New York City and grew up in Pittsburgh, Pa., and Albuquerque, N.M., before coming to California for her college education. She was graduated from Santa Clara University with a bachelor’s degree in political science. She was selected as the university’s first female valedictorian, and also won a Truman Scholarship, a prestigious fellowship for college students who possess leadership potential and an interest in government or public service. Napolitano was named one of the top five governors in the country by Time magazine. As the first woman to chair the National Governors Association, she launched the “Innovation America” initiative to align K-12 and higher education curricula to better prepare students for a global economy and strengthen the nation’s competitiveness by improving its capacity to innovate. Under her leadership, Homeland Security also has strengthened its outreach efforts to academic institutions through the establishment of the Office of Academic Engagement, and she created the Homeland Security Academic Advisory Council, involving leadership from more than 20 universities and colleges around the country. She has repeatedly testified about the need for comprehensive immigration reform and, earlier this year, she served as the Administration's sole witness in the Senate Judiciary Committee's hearing on the Senate's comprehensive immigration reform bill. She also testified before the Senate in support of the Dream Act and defended the Deferred Action for Childhood Arrivals process in a hearing before the House Judiciary Committee. The Special Committee to Consider the Selection of a President, assisted by the national executive search firm Issacson, Miller, was involved in recruiting, screening and interviewing candidates. More than 300 possible candidates were considered. In addition to Varner and Lansing, the immediate past Board of Regents chair, the committee members were Regents Richard Blum, Russell S. Gould, George Kieffer, Bonnie Reiss, and Fred Ruiz. Jonathan Stein (the student regent) and Ronald Rubenstein (the alumni regent) also served on the committee. Gov. Jerry Brown was an ex officio member. An Academic Advisory Committee was appointed to assist the regents' Special Committee. Student, staff and alumni advisory committees joined the Academic Advisory Committee in making recommendations on selection criteria.